Chord progressions are a vital part of song writing. Let’s learn how to construct a chord progression for songwriters. In the illustration each note of the scale is assigned a number form 1 to 7. With the C note being “1”. This is the starting place for creating chords. The harmonic scale is a scale made up of chords. 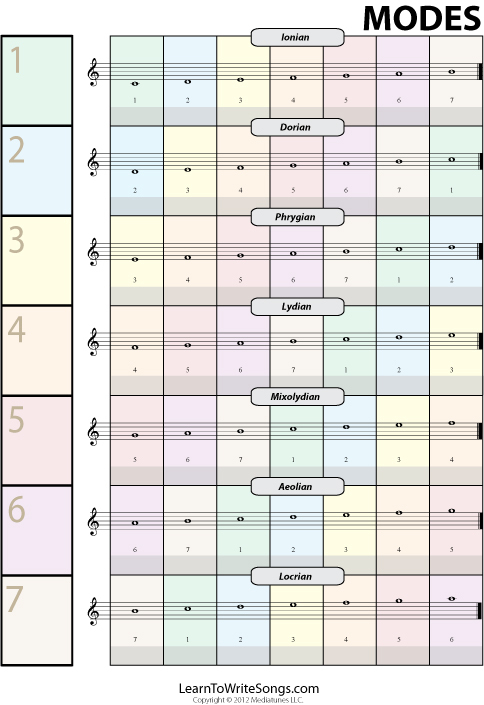 This illustration show the harmonic scale. It was built using the C major scale and the 1-3-5 formula. 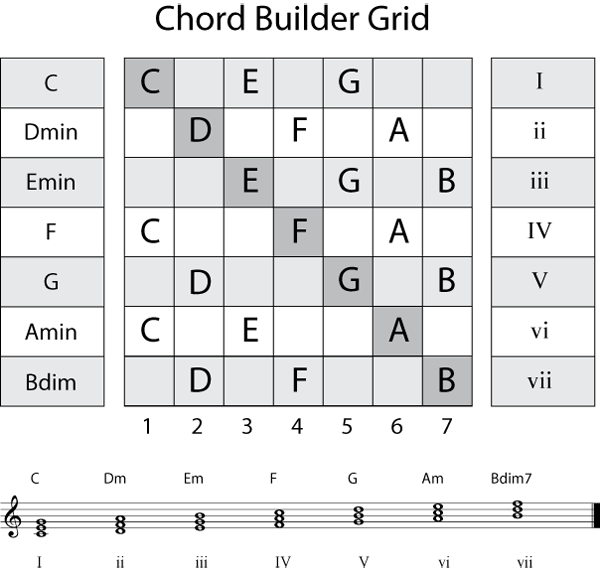 In this scale each chord is assigned a Roman numeral. The uppercase roman numeral is a Major chord, and the lowercase represent minor chords. Using roman numerals also make is easy to transpose to different keys. Rather than using a chord name, use the roman number to represent the chord. The dominant class consists of notes based on the fith scale step. The dominate also has three chords. These chords include the V, iii and vii chords. The vii is seldom used. With the understanding of the basic rules for chord movement, a chart can be constructed. This chart shows the most common and best sounding chord change flow. Please note that because the vii chord is rarely used in contemporary music, it has been omitted from the chart. 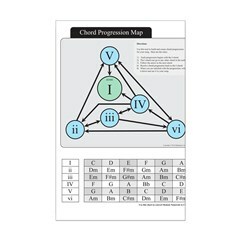 To begin using the chart to construct a chord progression start on the I chord. After the tonic chord, follow it with anything. 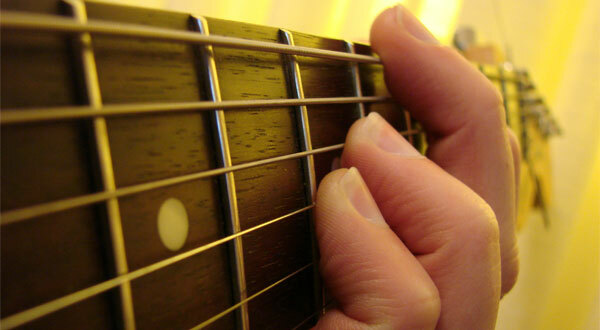 But once you’ve played a tonic chord, you can leap to pretty much any chord in your list of seven chords. You don’t have to start on the tonic chord, but for this exercise we will. Going back to the chart the IV has four options I, ii, iii and V. For this example let’s use the ii chord. Make the progression now.. Using the C major scale, Lets translate this progression with chord names. Here is what you get. There you have a chord progression, Keep in mind you do not have to start with the I chord. You could just a easily start with vi chord. One addition note regarding this system. The chord changes representing in the chart are the most common changes. But they are not the only ones. You do have the option of not going to a recommended chord to create something completely unique. After all this is an art form. 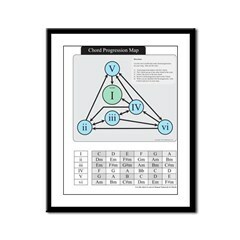 Use this chart to help you create chord progressions. If you are unsure about the next chord this chart will help you. This chart provide a list of popular chord progression used in many popular songs. The first column shows the “Nashville” number. The second column provides a sample of the progression in the key of C. Of course you are free to transpose any of these progressions into other keys. Posted in Songwriting Chords and tagged Chord Progressions, DOMINANT, Fundamental Harmonic Principles, Harmonic Scale, LEADING, SUBMEDIANT, tone. Bookmark the permalink. RSS feed for this post. Leave a trackback. « Songwriting: You Can Do It! 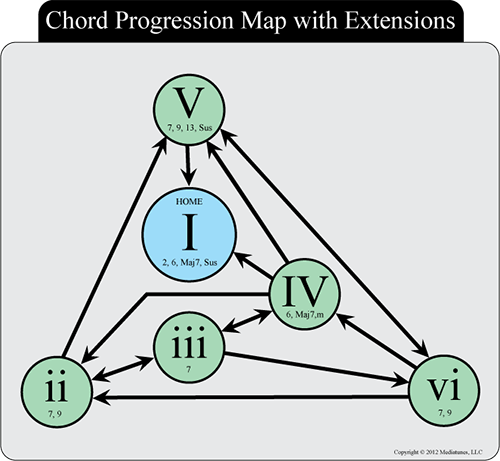 What is the chord progression Map based on; that is, how was it developed? Are the classes of chords formed because they are made up of the same or similar notes eg C and Am for Tonic? 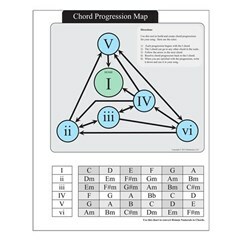 To understand the chord movements that the Map is based on look at the section above titled Basic rules for movement. 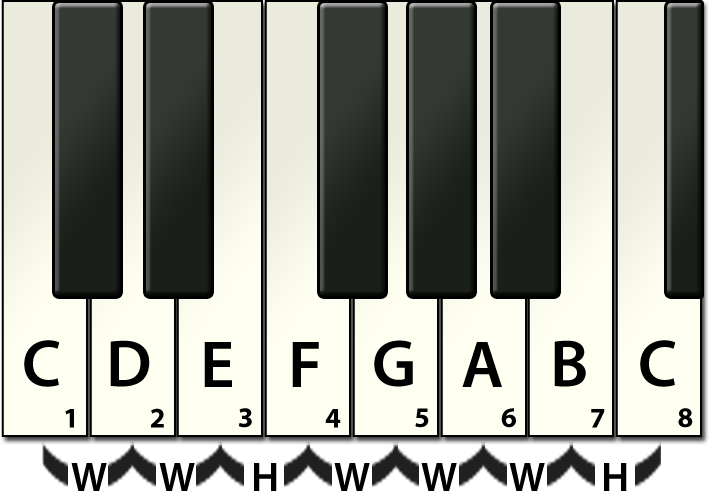 The classes of chords are based on the position in the scale. In regards to the C and Am as both being int the tonic class is because they are relative to each other. Now do the same with the harmonic minor or other scale. Great idea, Greg. I will add this to my queue of items to add. Glad to be of assistance. Enjoy the online tool. 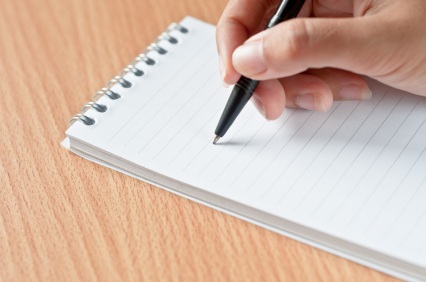 Rhyme patterns are simply the pattern of rhymes within a stanza. The rhyme pattern in each verse should match other following verses in the song, but this pattern does not have to be the same in the chorus or bridge and is usually best to be different than the verses. Songs do not have to rhyme, but the vast majority of successful songs do rhyme.